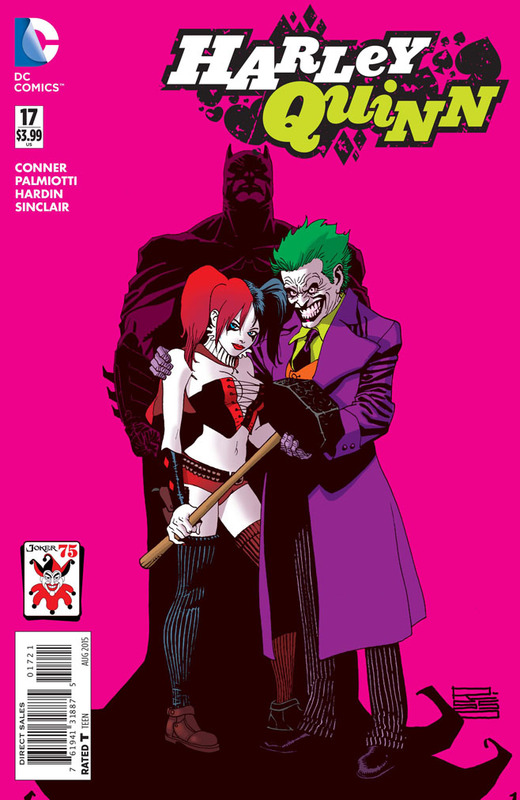 It’s new era for the DC Universe! 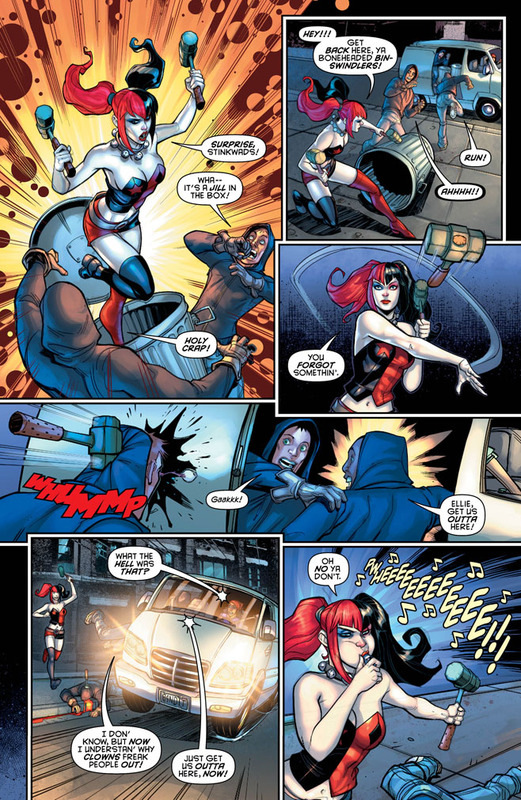 But it’s the same, dependably crazy Harley Quinn. 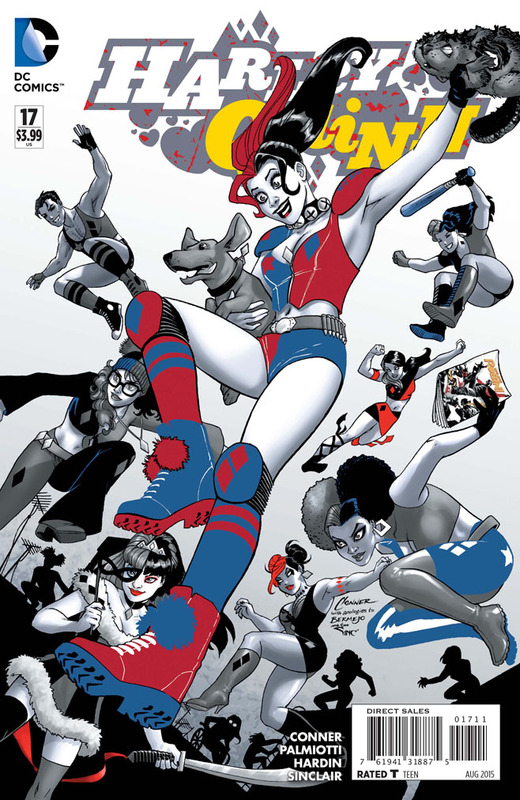 Or several Harley Quinns, as the case may be. 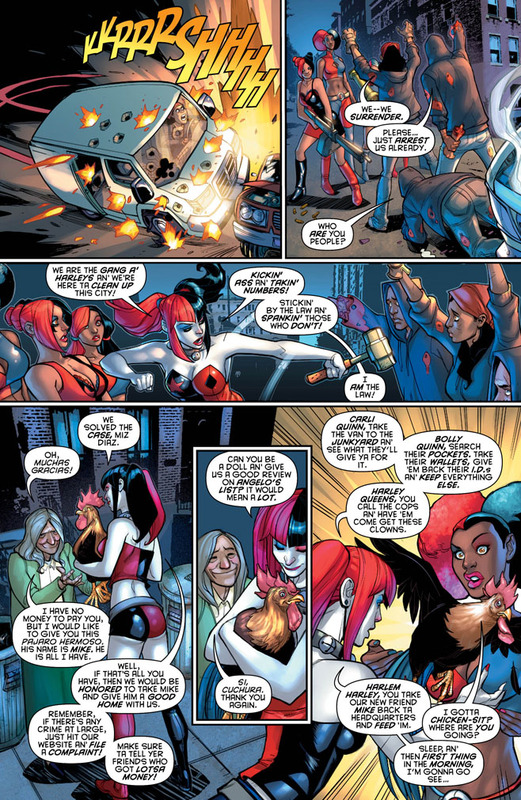 Hey, if Batman can crowdsource Robin, then why can’t Harley Quinn have her own Gang of Harleys?! 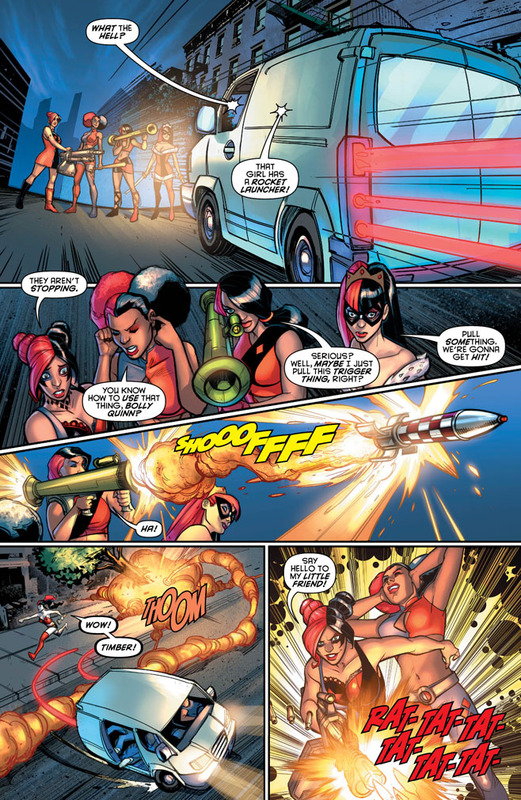 Well, now she does have her own gang that consists of 11 girls and one token guy. 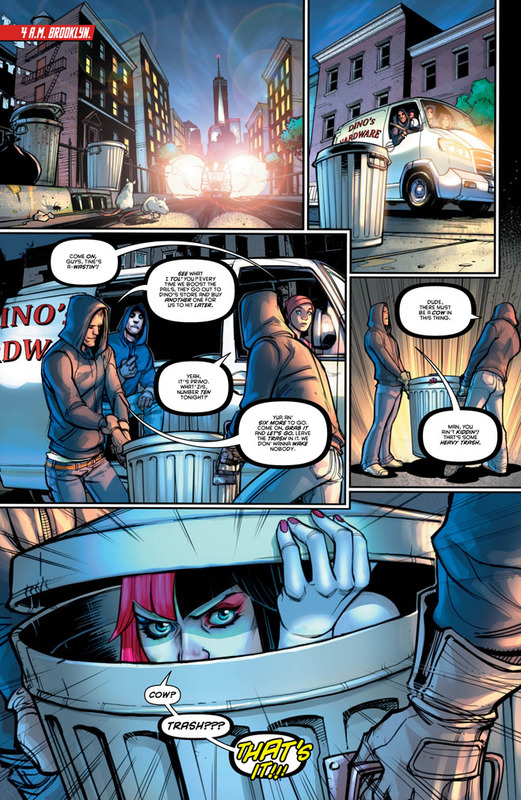 Get ready for the comic book debut of Carli Quinn, Harley Queen, HanukQuinn, and more as Harley’s new recruits help her clean up the mean streets of Brooklyn… in the most bizarre way possible. 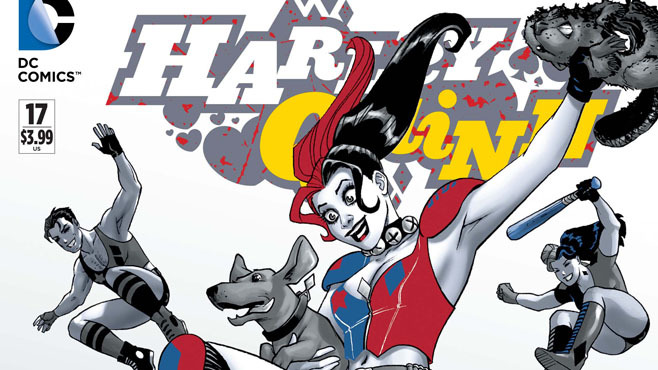 Writers Jimmy Palmiotti & Amanda Conner and artist Chad Hardin are back for more Harley-inspired insanity in Harley Quinn # 17, which hits comic stores on Wednesday, June 10!